There was a bigger field for the second of August's Salt Ayre evening time trials, with 10 riders at 2 miles, 19 at 6 miles & 29 at 10 miles making 58 rides in all. Ethan Yates was the quickest rider over 2 miles, in 6:39; with 3rd overall Jess Pugh the quickest girl in 7:01. At 6 miles James McCracken was the quickest, in 16:17; with Sasha Oldham 8th overall & the quickest girl in 18:12. And at 10 miles Ian Sibbert went quickest, in 22:28, with 2nd overall Lynn Hamel the quickest woman in 22:49. 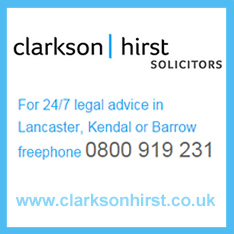 Thanks as always to Clarkson Hirst Solicitors for supporting, & the big team of people responsible for making the riding possible. The full results are available by clicking on 'Read more' below. The evening ended much better than it started, slowly turning from quite wet to rather pleasant! The ten two-milers bore the brunt of the weather, but both 1st-placed Luke Oakes & 3rd-placed Emilia Wood recorded exactly the same times as the previous week - 6:14 & 6:23 respectively. They were separated by Ethan Yates whose 6:17 was an impressive 13 seconds quicker than last time. As last week, Brian Murray was the fastest rider of the 18 having a go over six miles, finishing in 15 minutes exactly (19 seconds slower than the previous week). Next were Bobby Horton in 16:09 & Evie Barrow in 16:24. They were followed by a cluster of strong young riders all breaking 17 minutes - Isaac Atkinson, James McCracken, Hannah Edwards, William Dykes & Adam Hodgson. Two riders tied for the fastest from the 30 starts at ten miles; Ian Sibbert & Tom Phillips both recording 22:43. They were just ahead of Rob Barton in 22:50 & Andrew Barlow in 22:57. Of the women riders Ali Oldham was fastest in 26:56, from Jenny Evans (27:21) & Kerry Oldfield (27:29). The evening was rounded off with three teams giving a 2-up time trial a go: Jon Barry & Dave Horton recorded 25:10; Paul Andrews & Tilly Percy 27:09; & father & son Gordon & John Roberts 27:38. Thanks to all those who volunteered on the night. Full results are below.